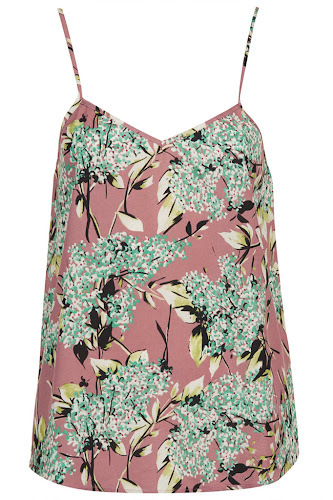 Topshop (yet again, I know I'm obsessed) have some great tops in at the moment. I bought a black one when I went to Devon and it's really comfortable and shows the right amount of cleavage. They do camis in a range of different colours but I love this one. It's £26 - a tad more expensive than the other ones but the print is Autumn inspired and very pretty. I haven't seen this in store since mid August so I hope it stays around.